Pioneers in the industry, we offer goodsky home application electrical relays, goodsky power home application relays, goodsky home application relays 27.2 g, goodsky home application relays 34.0 g, goodsky home application relays 18 g and goodsky home application relays 32 g from India. Release Time 30 mSec. Max. Operate Time 30 m Sec. Max. 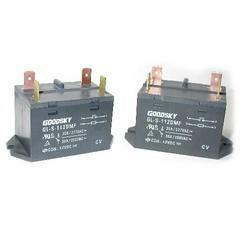 We are offering a wide range of Goodsky Home Application Electrical Relays. High switching current at 30A (1 Pole) and 25A (2 Poles). Operate Time 20 m Sec. Max. Electrical (Life Expectancy) 10 Operations at Rated Resistive Load. 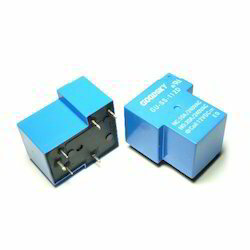 We are offering a wide range of Goodsky Power Home Application Relays. Switching current up to 25A. P.C.Board & Plug-in Terminal available. Employment of suitable plastic materials to be applied to high temperature and various chemical solutions. Operate Time 15 m Sec. Max. 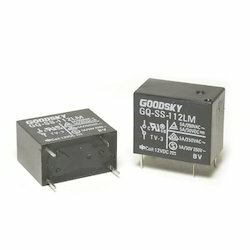 We are offering a wide range of Goodsky Home Application Relays. 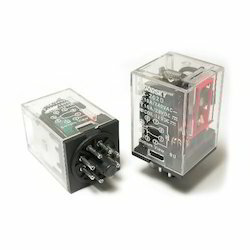 Single contact Form (SPST) series Relay offers switching capacity 30A in small size. Dust cover, sealed & unclosed cover types are available. We are offering a wide range of Goodsky Home Application Relays 34.0 g.
PC Board mounting & Quick Connect Terminals available. Release Time 20 m Sec. Max. We are offering a wide range of Goodsky Home Application Relays 18 g.
Power Relay in miniature size up to 5A/120VAC capacity. Two poles are designed with Plug-in Terminal for customer’s various applications. Complete protective construction is designed for dust prevention. Release Time 25 m Sec. Max. Error Operation 100 m/S2 Min. Operate Time 25 m Sec. Max. 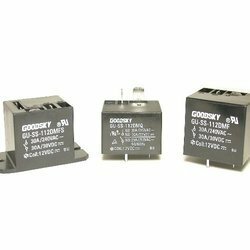 We are offering a wide range of Goodsky Home Application Relays 32 g.
2-pole and 4-pole versions available with switching current at 5 Amps. Release Time 10 mSec. Max. 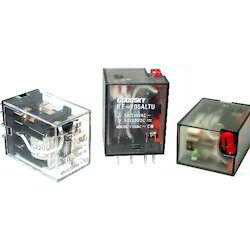 We are offering a wide range of Home Appliances Relays. We are offering a wide range of Home Application Power Relays. The contact form construction is 1a (SPST). Miniature size with high sensitive type 200mW, high contact reliability with sealed type. The Surge Strength of GQ Series is 10,000V. The selection of plastic insulation material is designed for high temperature and provides better chemical solution performance. Halogen Free series is available. Coil Temperature Rise 50 Degree C Max. 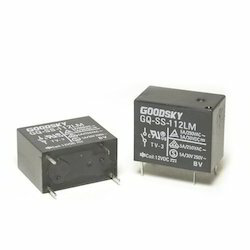 We are offering a wide range of Goodsky Application Relays. 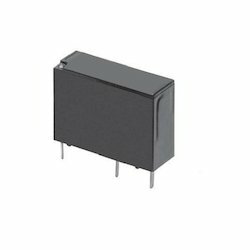 1 and 2-Poles version available with high switching current up to 25A. Plug-in Terminal with Flanged Case is available for customer’s various applications. We are offering a wide range of Goodsky Home DPDT Relays. 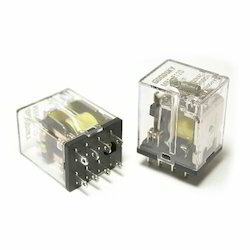 2-Poles and 3-Poles versions available with switching current 10A. Socket type. Easy to mount. 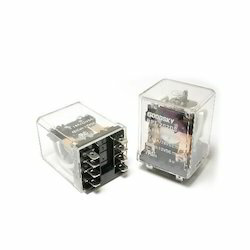 Looking for Goodsky Home Application Relays ?